Facing intense competition for similar markets and unpredictable crowd patterns, the management team has been actively looking out for solutions to manage operations and generate meaningful reports for analysis. 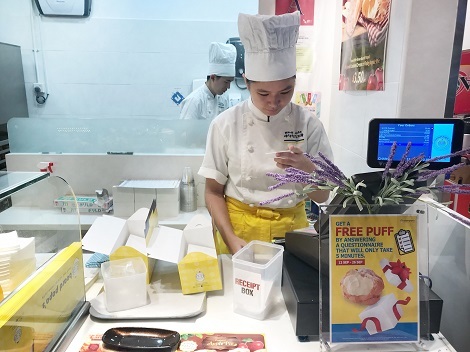 With extensive expansion plans in mind, Japan’s Beard Papa’s chain of cream-puff shops is expanding with a target of 150 outlets in Asia.”. Most of the planned locations will be managed as franchises, which are already proving efficient for the brand. 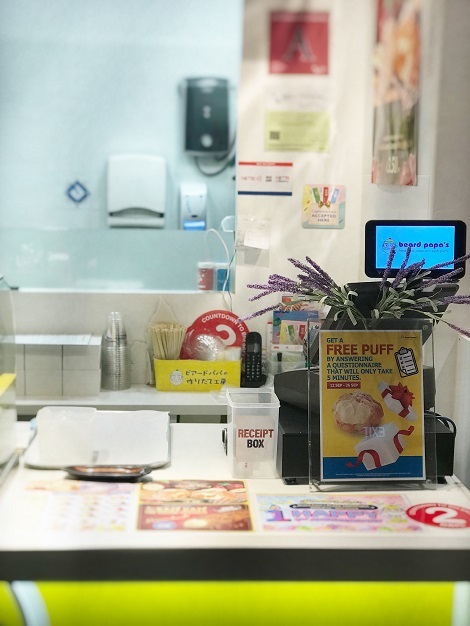 Thus, Beard Papa have assigned DIGI to offer a reliable POS software and cloud service to help them replicate the success story to other franchise outlets. Furthermore, no additional setup cost is required to establish CRM software for use. Beard Papa’s HQ can now launch strategic promotions at different time of the day to target different crowd. It offers the flexibility to manage reporting across multiple locations at their convenience. Reports can be generated remotely at the HQ through DIGI’s cloud back office (DMC) for analysis. The built-in CRM software plays a key role in reporting and evaluation of daily sales. It also allows them to track POS activities for accountability in real-time. Additionally, reporting via DMC reduces operational downtime when operators need to update sales report manually individually, reducing inconsistencies and mistakes that cause further disruption to workflow. The installation of Delious PICO and DMC have increase operators and backend office efficiency as they no longer need to tabulate daily sales manually. Their marketing team also managed to launch successful promotions to target different customer crowds at various timing.